In our review, we have gathered the best tips on how to transform your old jeans. 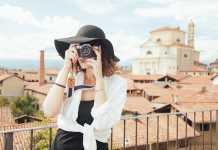 Each of these ideas confirms the belief that you can give a second life to almost anything, if you start using the thing for other purposes or slightly upgrade it. 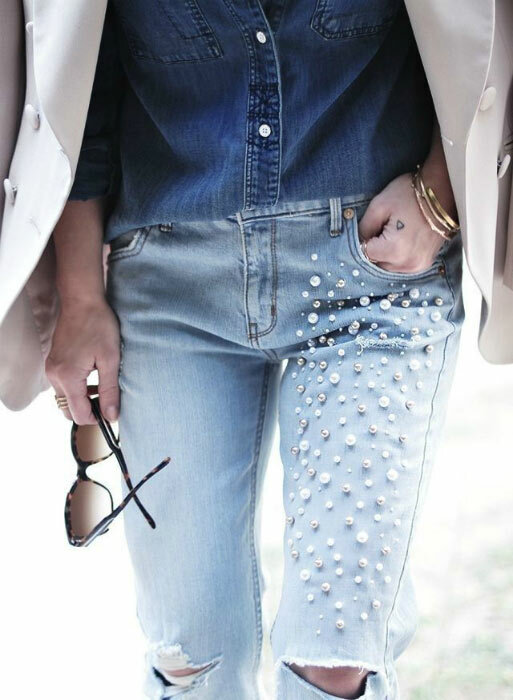 Want to spruce up your favorite jeans? Just attach a strip of expensive vintage lace and tuck the pant legs. They will look great with a loose-fitting blouse and high heels. 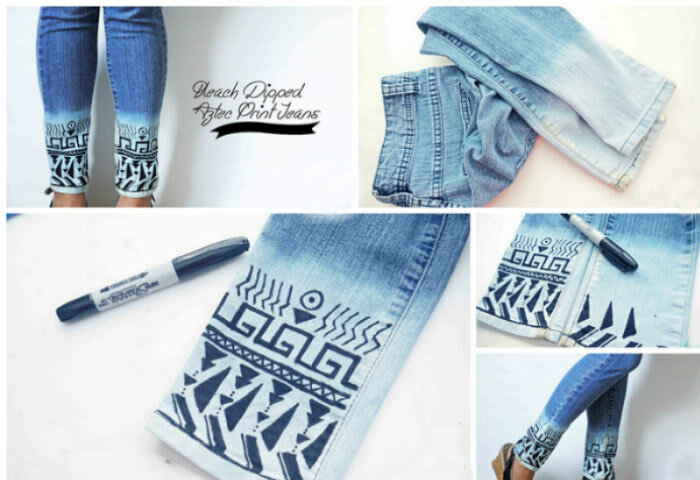 Skinny jeans with a bleached bottom can be decorated with simple patterns drawn with a permanent marker. For the pattern to be neat, it is best to use a stencil. It looks like ripped jeans will never leave the pages of fashion magazines. So, armed with a stationery knife, patience and imagination, start cutting sloppy holes on your old pants. 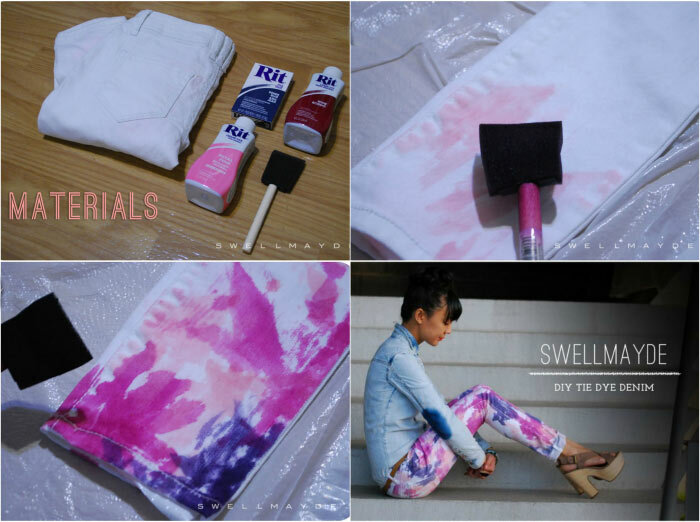 You can decorate light-colored jeans with special fabric dyes. Take a few matching shades and apply them on the entire surface of the jeans with a sponge. 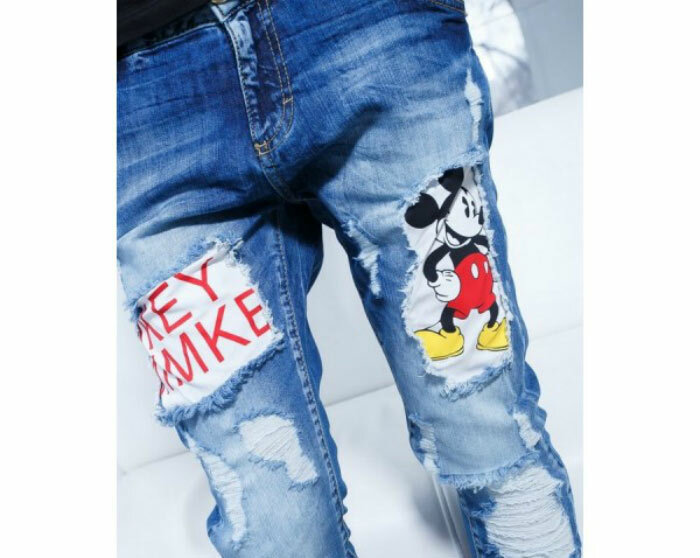 Jeans with such a pattern look very interesting, and, most importantly, – your creation will be absolutely exclusive. Decorate your jeans with elegant lace patterns. For such a transformation, you will need a small piece of guipure and a permanent marker. Simply attach the lace to denim cloth and gently outline the image with a marker, like a carbon copy. 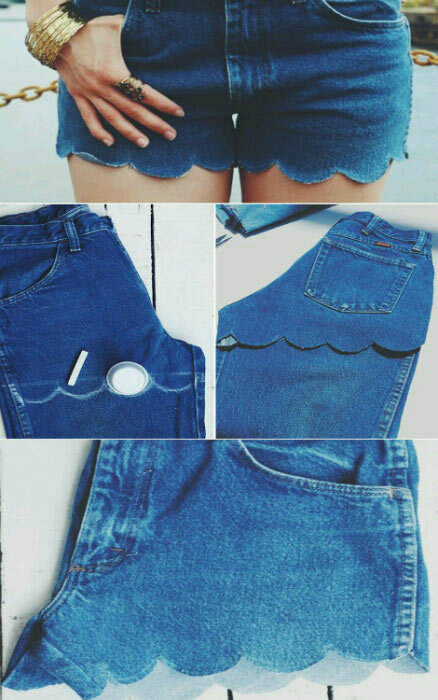 Old worn jeans can be converted into shorts, if you simply cut the legs. And, to make them even more beautiful, decorate the back pockets with bright accessories purchased in a sewing shop. Cut the pant legs of your old jeans to get knee-length shorts. Evert the resulting product and sew strips of bright cloth to the bottom of both legs. Then simply tuck the pants and fix the resulting cuffs. Worn-out shorts can be turned into wonderful summer outfit. 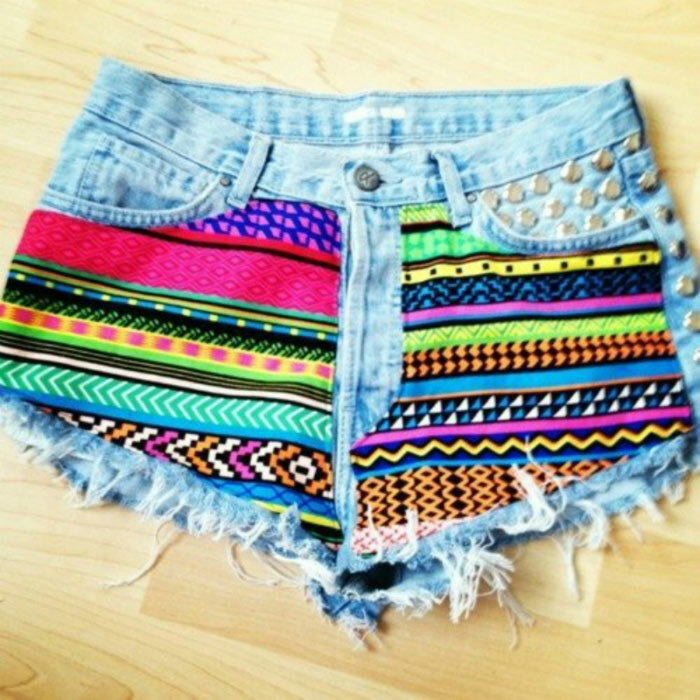 It is necessary to crop pant legs as much as possible, dishevel the edges, and sew two pieces of colorful fabric to the front. 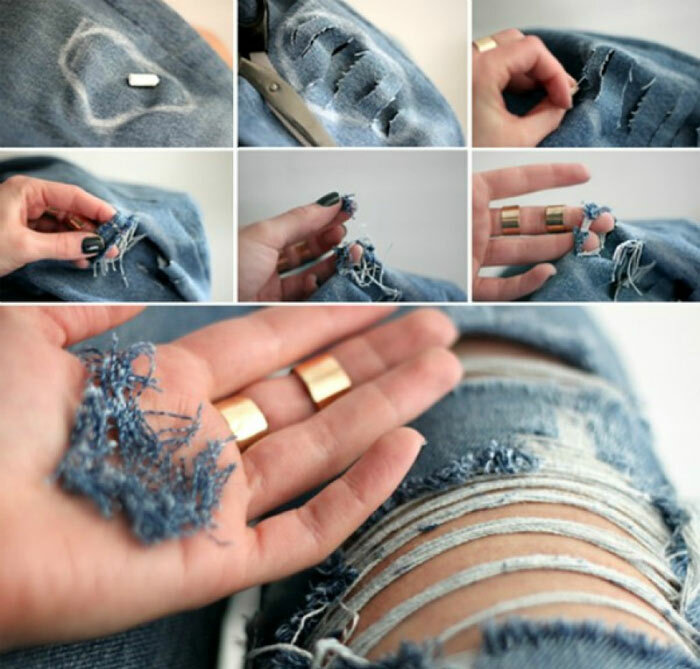 Such transformation of your old jeans can be done in five minutes. Draw a wavy line with chalk and cut the pant legs carefully following the line. Purchase lots of beads of different sizes and feel free to sew them to the trouser legs as your heart desires. Such decoration is very popular this summer. Want minor changes? 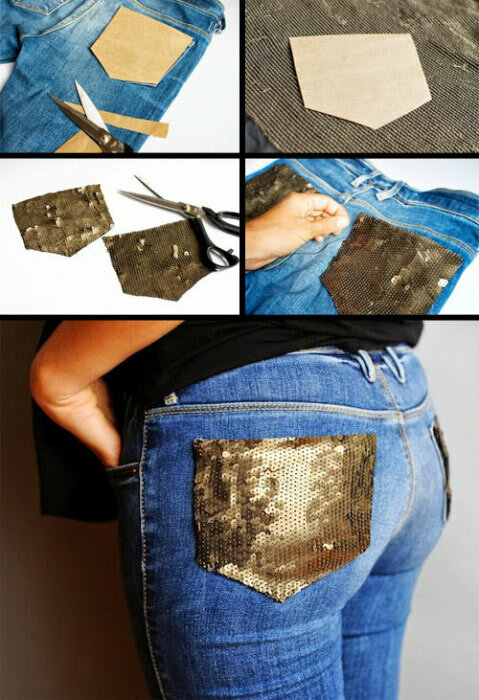 Buy a small piece of fabric with sequins and carefully sew it to the back pockets of your jeans. 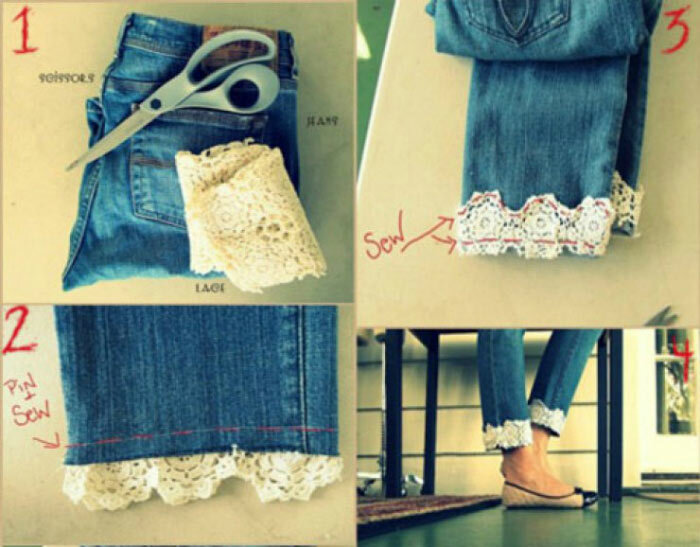 Here is another easy way to transform your favorite jeans. To create such a decoration, you only need a small stencil with a simple design and a little fabric dye. 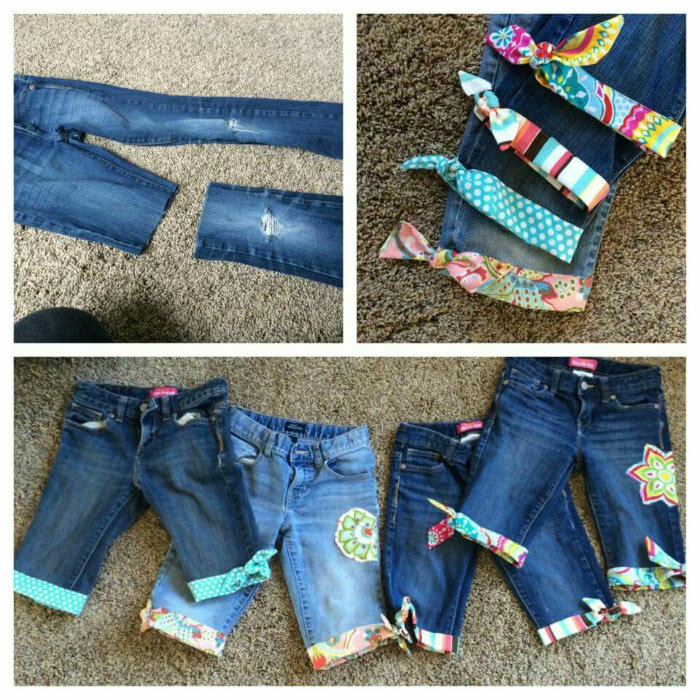 Several patches can help turn old jeans into something stylish, daring and youthful. Just cut a hole about the size of the patches bought and sew them inside. 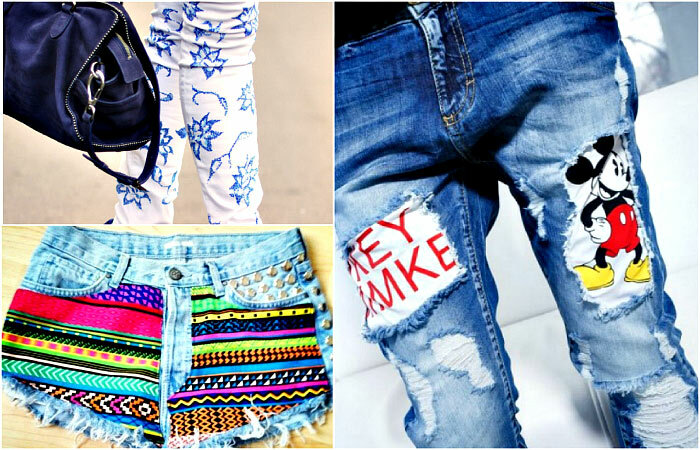 Old jeans can be converted into a trendy clothing item with colorful patches. You can sew on patches inside, in holes, or outside. 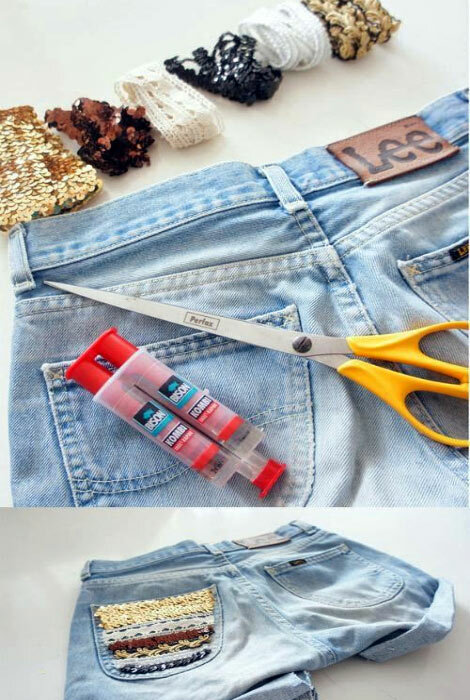 Turn your old jeans into fashionable embroidered shorts. No, no, we are not talking about large-scale pictures, only the simplest stitches. 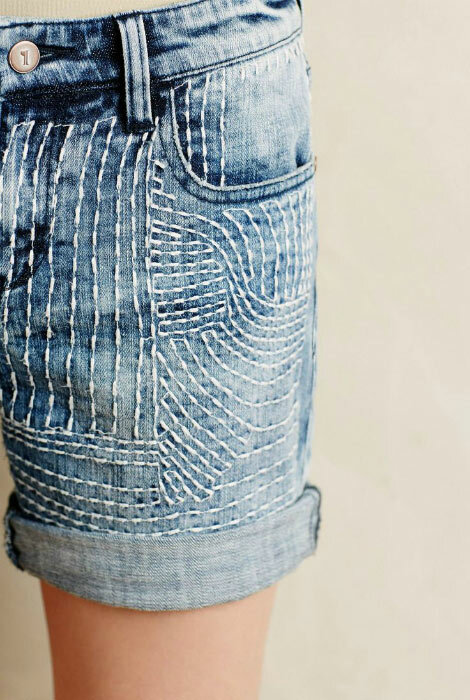 Such linear patterns will transform your old jeans into a stylish and unique thing. Ready-faded jeans are back in fashion. 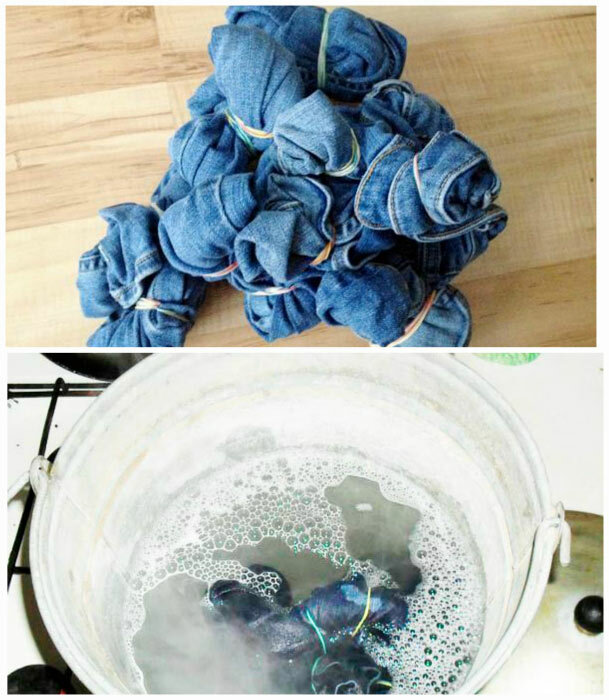 To create these jeans, you will need bleach, a large pot or bucket, and elastic bands. Twist the pant legs and fix them with elastic bands. Lower the pants into boiling water with bleach and boil for 15 minutes. After boiling, thoroughly rinse and enjoy the achieved result.